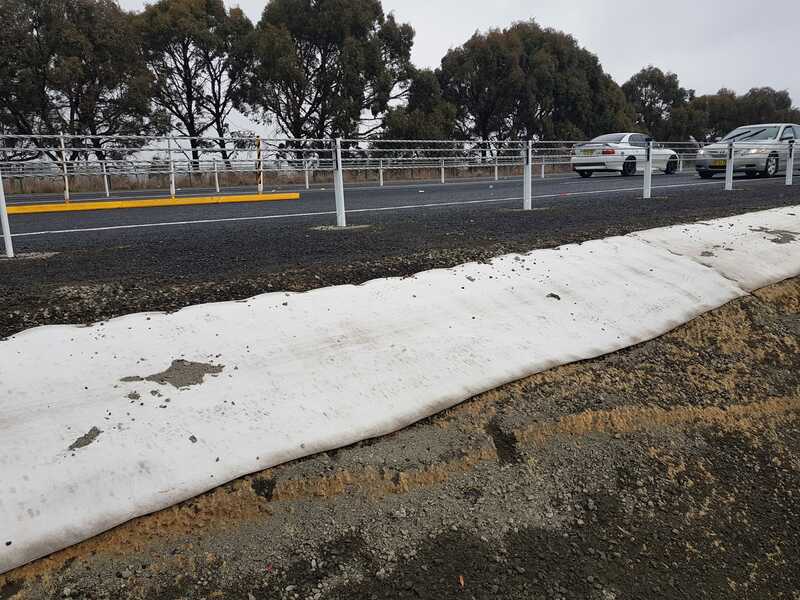 In Orange, New South Wales, there was a requirement for long term vegetation control on the road edge next to a crash barrier. 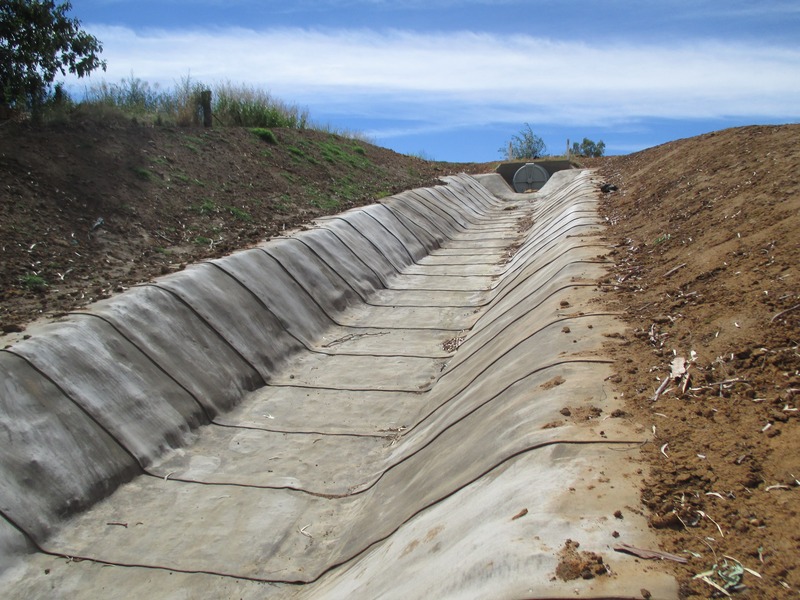 The site was an ongoing maintenance problem in terms of erosion and vegetation control. Due to the proximity of the slope to the crash barriers and tight access corridor from the road, frequent maintenance was deemed dangerous for the Roads and Maritime Services (RMS) crew. 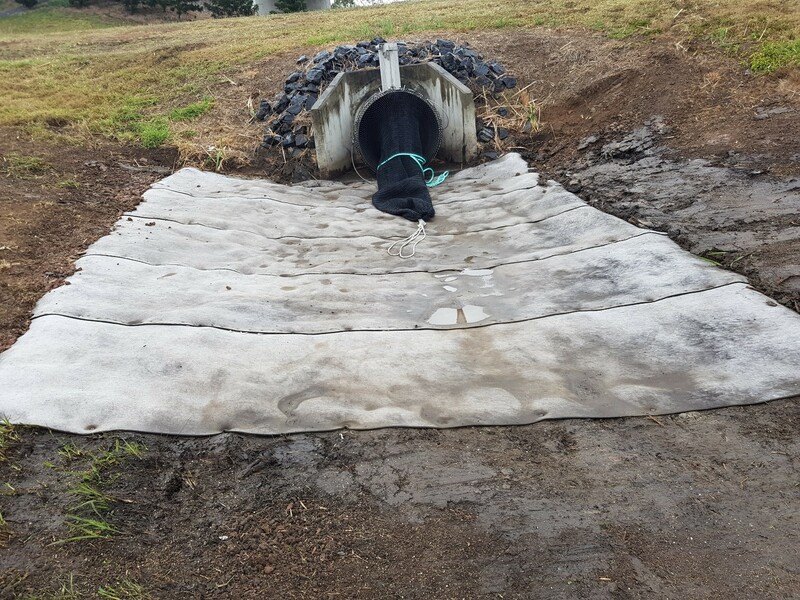 Geofabrics proposed Concrete Canvas as a solution due to its proven performance in previous projects used for weed suppression and erosion prevention. Concrete Canvas is much faster to install than traditional methods with no large machinery necessary, therefore saving lane closures and further costs. Geofabrics provided installation guidelines and site-specific termination detailing. As the slope had recently been trimmed, the site did not require any further preparation. The 300 m2 of CC5 were laid longitudinally along the road edge and anchored using 300 mm U pins at the crest, adjoined to the bitumen seal. Adjacent rolls were joined by using stainless steel collated screws. The Concrete Canvas was then hydrated using on site water cart resources. Installation was carried out over a couple of days however, the project manager stated, “it could have been done in a single shift”. The project will continue to be monitored over time, but the installation was simple and had a successful result. The Concrete Canvas solution saved a significant amount of time and money compared to traditional methods.